The industry has been changing over the past few decades and new engineered stone products, also known as quartz surfaces, such as Cambria, LG Viatera, Zodiaq, and countless others are now found in kitchens, baths, and other applications in homes and businesses across the country. 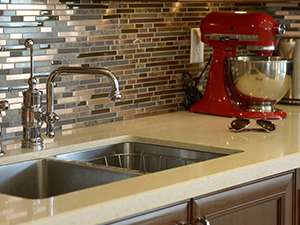 At Natural Stone Care, we have the technical knowledge, experience, and state-of-the-art equipment to handle virtually any problem with quartz applications in residential or commercial properties. For a free estimate on quartz polishing, quartz countertop cleaning and sealing, or other quartz restoration and refinishing services throughout Southern CA and the San Francisco Bay area, contact us online or call (866) 985-0211 today.